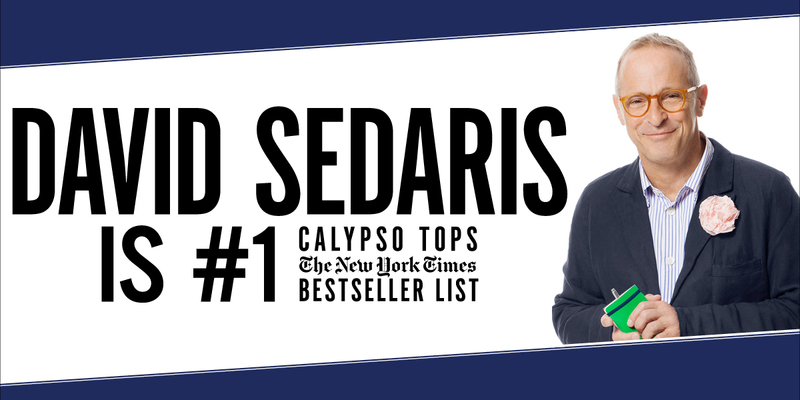 If you have a Sedaris pre-sale code, enter it when prompted at this link. Tickets on sale to the public at noon on Friday, April 19. Tickets are $59.50 or $52.00, depending on location. A $3 theatre facility fee, $3.50 promoter fee, and NC sales tax will be added to each ticket. Please note: There is an additional $3.50 per ticket service fee on web purchases. To avoid this charge, guests can call the Carolina Theatre Box Office at 336-333-2605 Monday through Friday from noon until 5PM, or visit the Carolina Theatre in person. Guests can also opt to have tickets mailed to them for a $1 postage fee, or can pick tickets up at will call for no additional charge.